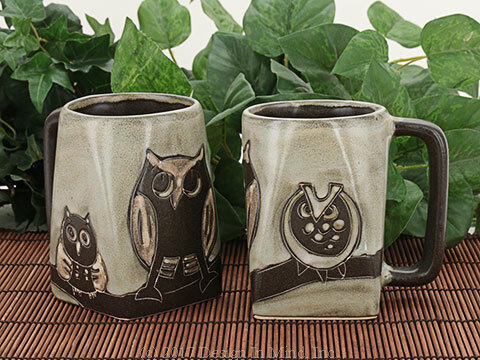 Mara stoneware mugs are etched and painted by hand. 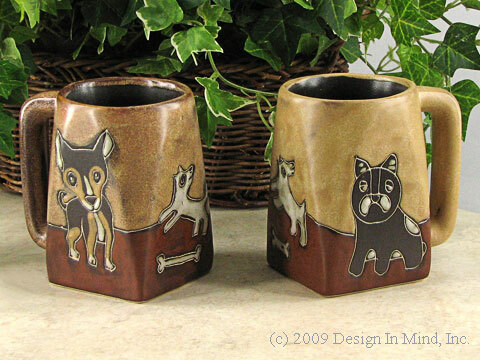 All mugs are designed by Mara and are high temperature fired with lead-free glazes. Microwave and dishwasher safe. 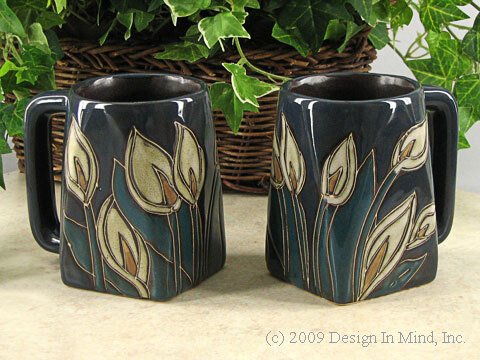 Due to kiln conditions each piece is unique. Both finish and color may vary. We have shown representative samples of each style, but we do not control what Mara chooses to ship in any given order. We will ship what we have in stock at the time of your order. 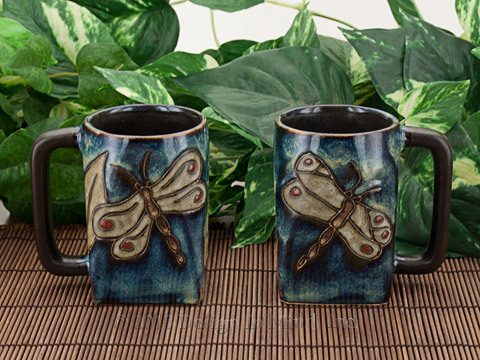 Note: These mugs are sold individually. 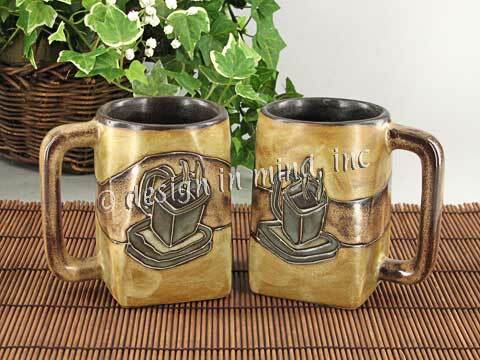 We have pictured them together to show the variation in finish as well as the pattern on the reverse side.